The Wesleyan Argus | Dunkirk: Detached Realism or Unwarranted Violence? Dunkirk: Detached Realism or Unwarranted Violence? Sometimes, editors disagree. Sometimes, they want to write about it. Sports Editor Cormac Chester ’20 and Features Editor Sam Prescott ’19 have some divergent opinions on Dunkirk. Here are their thoughts. War films are clichéd, nuanced, and intense viewing experiences. With every new one, audiences generally expect to see a lot of the same: grotesque gore flying across the screen, the metallic metronome of machine guns, the cries of men as their souls are sucked straight out of their bodies. “Dunkirk” does not make any attempt to avoid these clichés. Yet it still distinguishes itself among films about war as a uniquely important work of art that reminds humanity of the horrors of war. One distinctive element is the audience’s lack of familiarity with any of the characters. We know very little about these people throughout the entire film; the only characteristic that we learn is one that’s consistent through all of the characters: their will to survive. This determination stands in stark contrast with the premise of war, which is not to survive but rather to kill and destroy the enemy. And in that way, “Dunkirk,” although under the pretense of a murderous war film, is less about inflicting violence and more about survival. While our lack of familiarity with these characters can be levied as a criticism of the film, this aspect actually helps further its intensity. Knowing that they want to live is the only thing that truly matters because the magnificent horror and flaming fury of war distract all but our basic animal instincts. In the same way, the chaotic editing of “Dunkirk,” which cuts between three timelines of varying lengths, mirrors the anarchy and mayhem of war. It’s very difficult to keep the plot straight, but at a certain point, what’s happening emotionally matters more. And crucially, Dunkirk maintains a consistently emotional storyline, building the tension and fear with each cut, alternating between the jarring and the smooth. As the planes’ fuel tanks run dry, the British civilian sailboats approach France, and the men at the mole experience another German bombing raid, the stress increases, often at an exponential rate, compounded by Hans Zimmer’s powerful score, until it is clear that some men will die, and some men will survive. Joseph Stalin is quoted as saying, “a single death is a tragedy; a million deaths is a statistic.” Quentin Tarantino uses this to his full advantage, and the gratuitous violence in his films often numb the audience to the murders on-screen. Yet despite all the deaths present in Dunkirk, each one is as tragic and devastating as Stalin suggests a single one should be. Since the only thing that connects the audience with the characters is their drive for survival, the only thing the audience can feel is the black grief associated with the loss of that connection. To me, that marks Dunkirk as the most realistic war film, a true and honest warning to future generations about the appallingly awesome terror of war and what it does to the individuals involved. For a film that, from the outset, was clearly hoping to bump elbows with Marvel in the race for the biggest summer blockbuster, Christopher Nolan’s “Dunkirk” seems to cater to a curiously niche market. Film critics and war buffs have raved over the movie, citing its admittedly impressive cinematography and methodical construction of consistent neural tension. The movie’s technical aspects are flawlessly executed, and scene-setting is immersive and beautiful. From the narrow standpoint of a critic or student of cinema, “Dunkirk” is a masterpiece, and it has been lauded as such. Nolan begins his two-hour ode to human suffering with immediate, context-less death. Tommy (Fionn Whitehead),“Dunkirk’s” by-default protagonist, navigates the first few scenes by evading German snipers who kill his squadron-mates and escaping to the beach, where he helps bury one of the dead bodies. This activity is interrupted by a group of Axis dive-bombers, who treat the viewer to a few minutes of explosion noises and screams of agony before mercifully passing by, leaving the beach strewn with—you guessed it—a whole bunch of corpses. Nowhere in this lengthy and violent introduction to “Dunkirk” are we afforded any sense of context, given any substantive introduction to our primary characters, or privy to any dialogue that isn’t drowned out by gunshots, explosives, or screams of pain. Imagine missing the first hour of “Apocalypse Now” and tuning in during the “Napalm in the morning” scene, without any prior knowledge of the plot or of Vietnam War history. Does that sound confusing and unfulfilling? For viewers of “Dunkirk” who only knew to expect a World War II battle (or even less than that) the film’s introduction loses its sense of historical place and importance, which is essentially its only orienting factor. When this tedious debut of the terrors of war is over, we are left expecting and perhaps yearning for a reprieve. Some plot-structuring dialogue and character development seem necessary and logical. It never comes. The characters of “Dunkirk” are either lackadaisical tropes (the war hero, the grizzled sailor, the jaded and stir-crazy soldier) or completely one-dimensional. The film is emotionally taxing, to be sure, but it accomplishes this by using constant and intense depictions of trauma as a lazily ponderous substitute for personal attachment. The less-informed viewer is never brought into the loop, and the only emotional resolution Nolan allows us is the brief celebration of a successful evacuation, which we are quickly reminded should not exactly be counted as a victory. 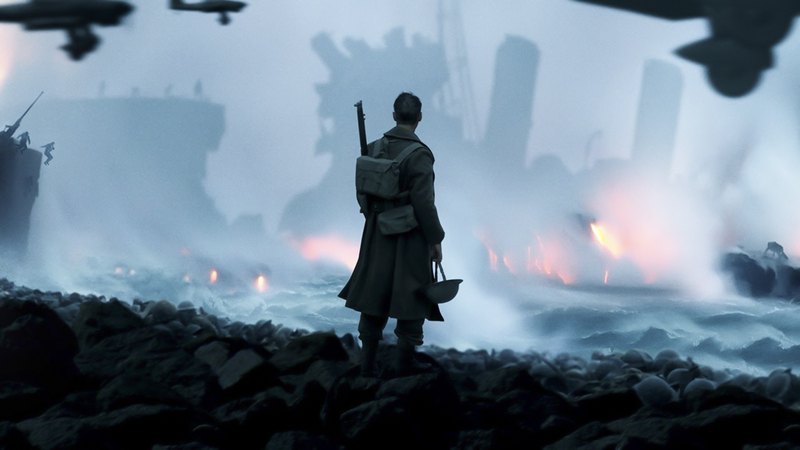 While many “Dunkirk” screenings may leave some viewers crying, most tears will be the result of emotional strain rather than depth. The movie also continues a shameful legacy of whitewashing in American war movies. Each and every one of our primary characters is a white man, and faces of color are few and far between. The immense contributions of Black and Indian soldiers are completely erased, and the “lascars” from Southeast Asia and Africa (who are estimated to have made up 25% of the staff of British merchant vessels) are non-existent. Nolan is far from the first director to ignore people of color in WWII films, and he won’t be the last. But critics who are lauding “Dunkirk” for its accurate and specific portrayal of the battle should consider the possibility that it simply presented them with the version of the battle that they wanted to see. Sam has a good point about the “lascars”. And therefore, it is with a certain amount of irony that more people “know” about them and their contribution to the evacuation of Dunkirk today because of the movie and the criticism around it than had ever existed before. However, some of his other points just seem argumentative. The lack of on-the-nose dialogue and “contextualizing” within the film, “Dunkirk” is one of its greatest strengths. Take another look at the opening scene: Fionn grabs a folded sheet of paper floating through the air and opens it to the camera – the contents of the paper (SPOILER ALERT: it’s a map) tell the viewer everything they need to know about the scene and about the ensuing hour and a half. Similarly puzzling is Sam’s reference to “the only emotional resolution” of the movie: I think that’s called, The Ending. Why shouldn’t it be the only emotional resolution of the movie?